To determine if a clean beer can be fermented in the same chamber, side by side with a “non-clean” beer without becoming contaminated. 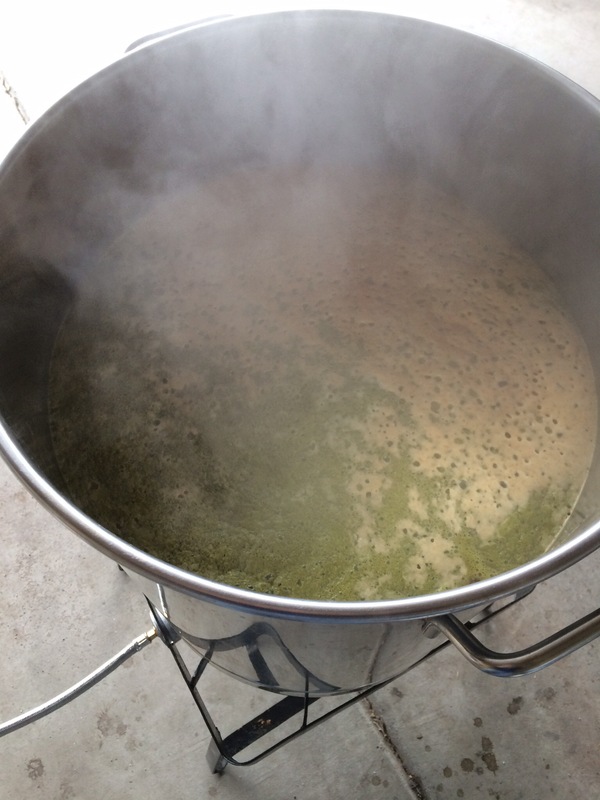 Brew a 10 gallon batch split into two 6 gallon PET carboys, fermented in the same fermentation chamber. One beer inoculated with a sour blend, the other inoculated with a traditional brewers yeast. 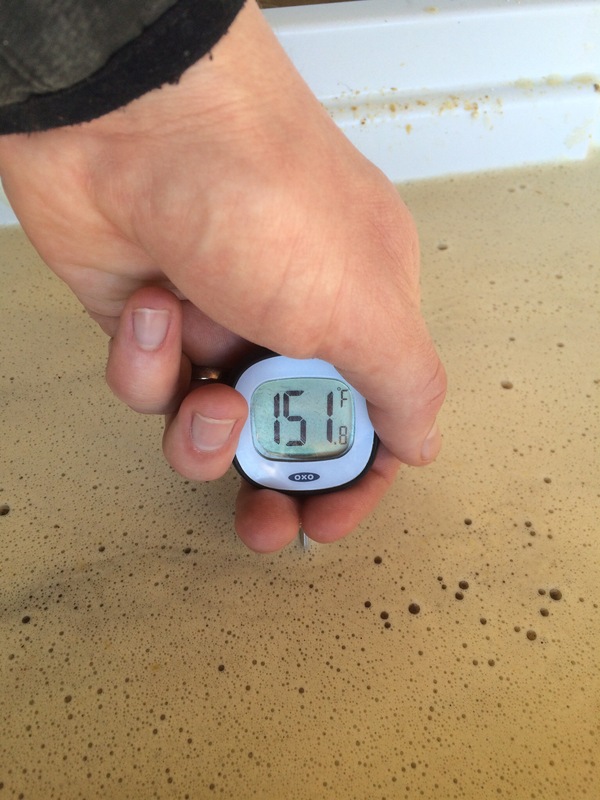 The non soured beer will be entered into the first round of 2016 National Homebrewers Conference competition to determine if BJCP sanctioned judges detect off flavors associated with cross contamination. The night before brewing I purchased my ingredients and water and the following morning adjusted the water to Bru’n water West Flanders (boiled), and mashed in. I was so close to my mash temp of 152! 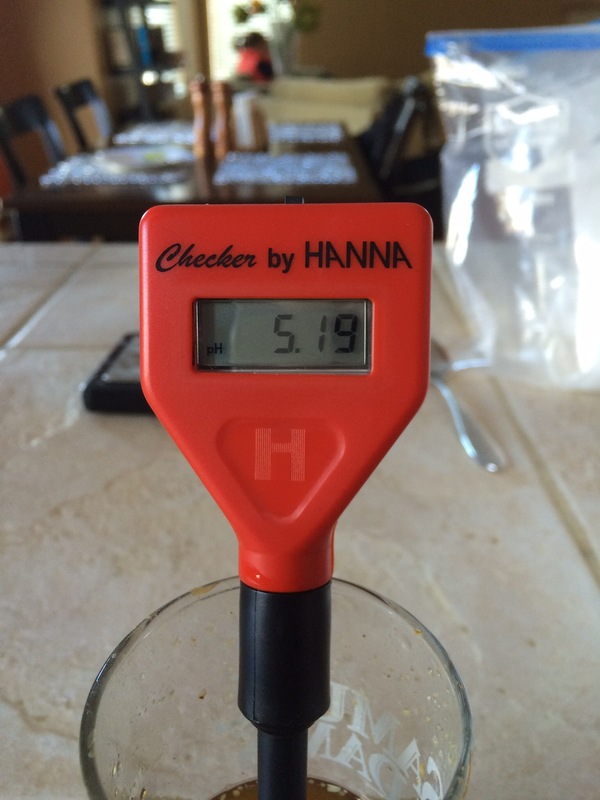 I nearly hit my mash ph of 5.2 as predicted and proceeded to lautering. I boiled for 75 min and chilled the wort super fast. After chilling the wort, I split both batches into separate carboys, hit them with 60 seconds of oxygen, and placed them in my fermentation chamber at 70 degrees. 12 hours post pitch for the Roeselare and 0 hours for the WLP500 (my starter wasn’t properly planned) I guess this experiment will really test this variable. 24 hours post pitch WLp500, 36 hours post pitch WY3763. I cleaned up the 500 and gave it two drops of fermcap-s, even more room for contamination (side note: even though I love them, the six gallon capacity of these PET carboys is killing me!). Day 9: Took a reading of the WLP500, 1.016, third day in a row after increasing the temp to 75 from day 5-9. 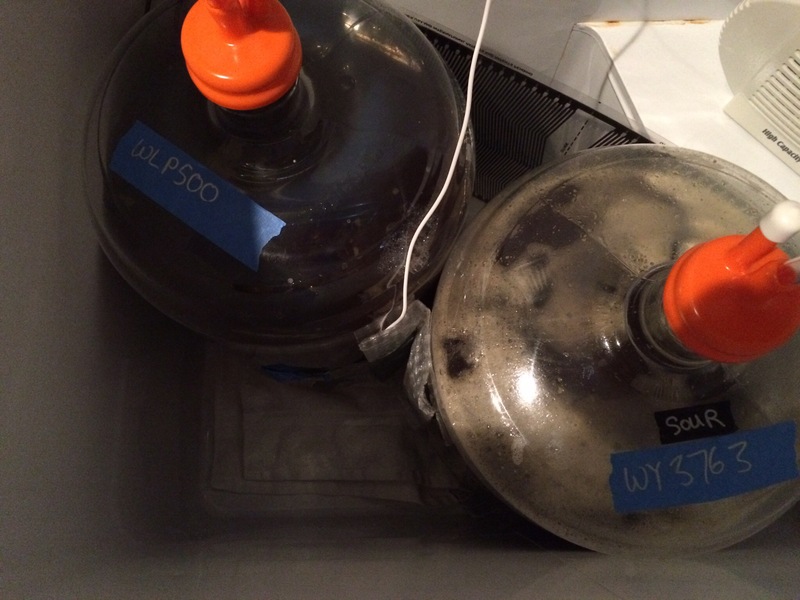 On day 10 WLP500 was removed from the fermentation chamber and moved to the fridge to crash and fine. The WY3763 was left in the chamber alone and bumped up to 80 over the next few days. 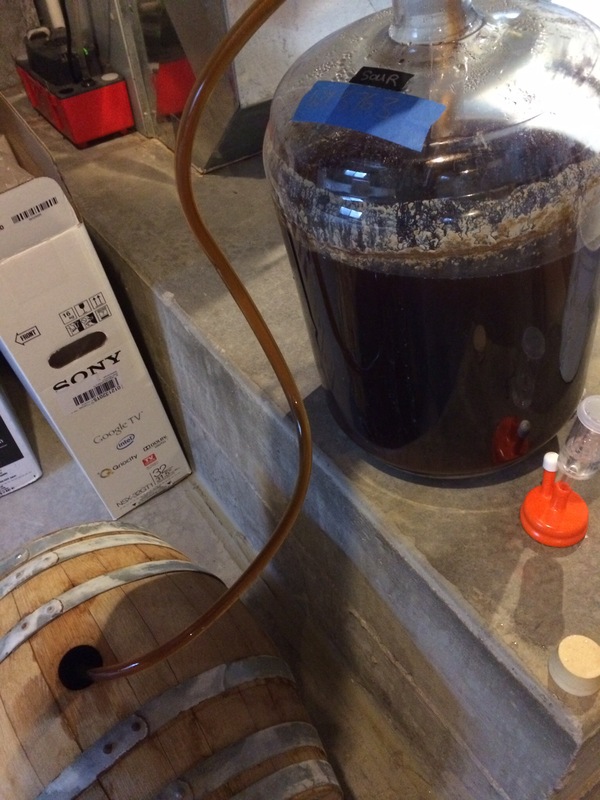 After two weeks the sour beer was then transferred to my 6 gallon Hungarian Oak barrel and topped off with some of the WLP500 beer. It will age in the barrel for around 6 months. 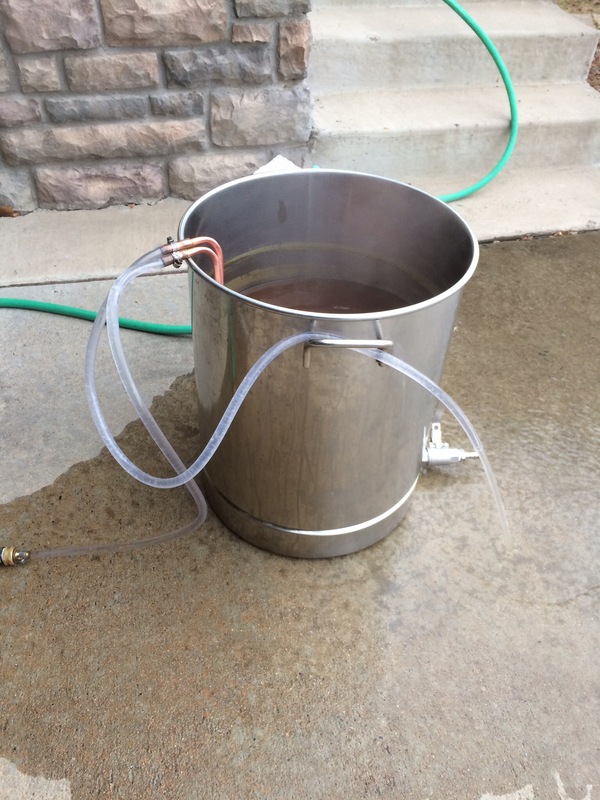 The WLP500 was fined and kegged, ready to be served to some NHC judges! I entered it into the category of 21B Belgian Dubbel (BJCP style 26B). 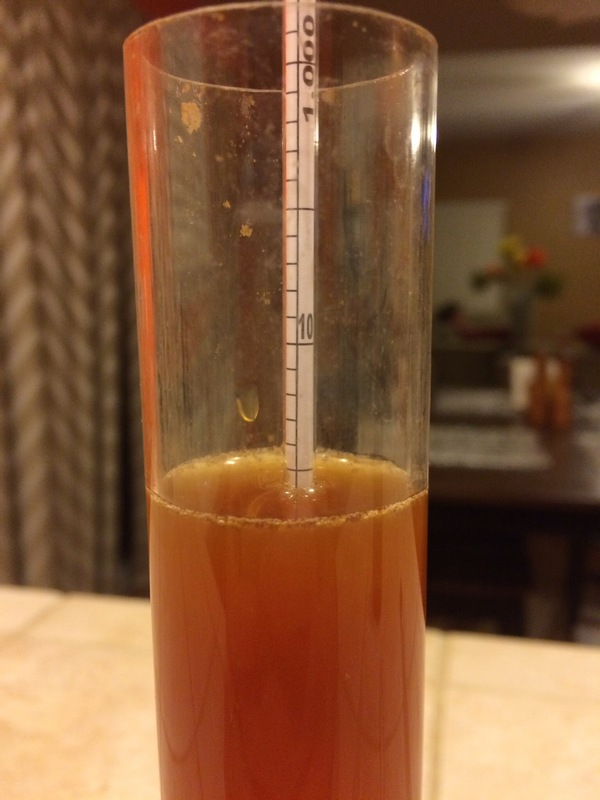 Given the long lag time between bottling and evaluation at room temp (still a sore subject for me), any infection should be clearly noticeable to the judges. In my opinion though it’s a pretty damn good beer. This being my first competition I was fairly apprehensive and spent many days refreshing the results page on the NHC site. My scores actually arrived in the mail before the results were posted. I got a 38 on my dunkles bock which I was somewhat disappointed with as I felt this beer was closer to a 42, oh well the judges gave me great feedback (like racking off the trub before going into the fermentor Marshall 🙂 )! The disappointment was short lived though, when I got to the dubbel score sheet I was happy to see that beer received a 41/50. Reading the score sheets there were no references to any off flavors that would be associated with sour beer. No notes of brett, no sourness, nothing! I actually had one bottle of this left over that I drank while reading the score sheet, even looking hard for any hint of off flavors there were none. 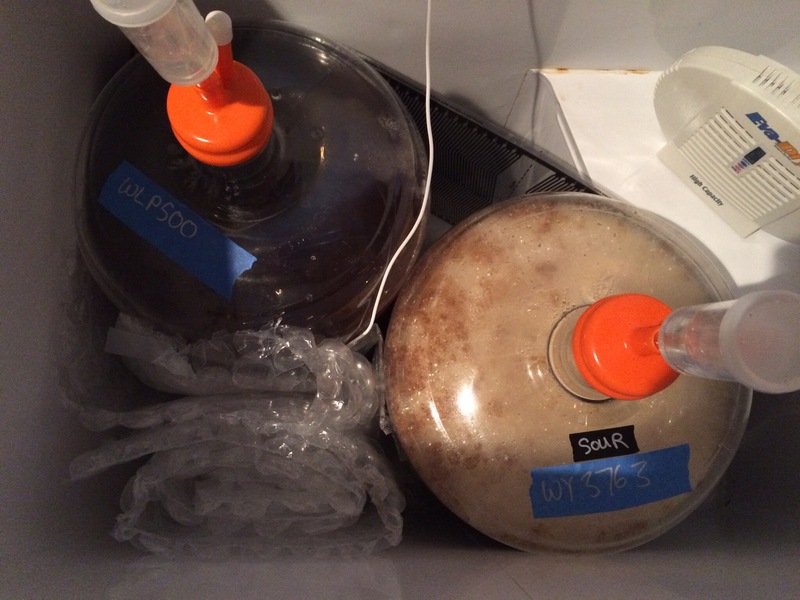 I think it’s safe to say you can ferment a sour beer and a clean beer in the same chamber without fear. Cheers and if you have any ideas for future comparisons please feel free to contact us. Our email address is now on the authors page. I think the issue of cross-contamination between clean/sour fermentations is more an issue of barrels than glass/plastic carboys. 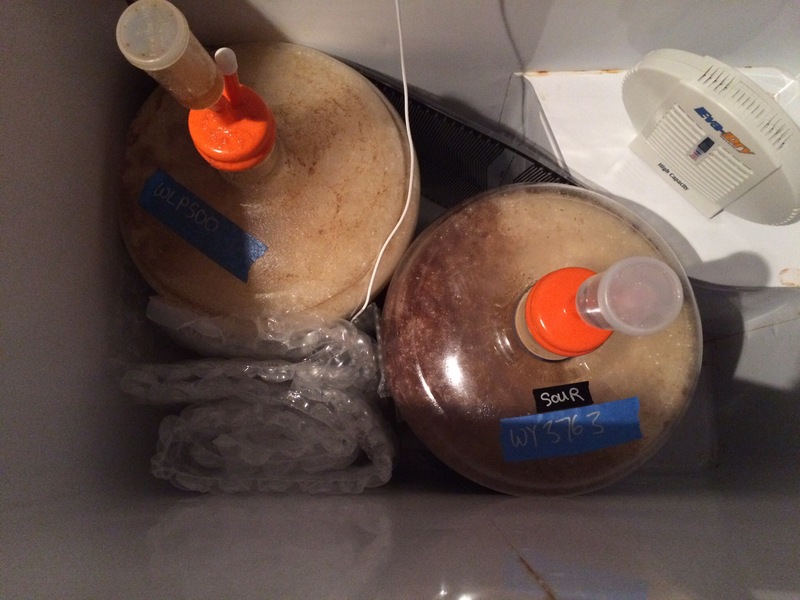 I age clean/sour/funky/everything in between in glass carboys all the time without trouble. I totally agree. The barrel jumping phenomenon JZ found was fascinating to me. Thats a great score for your first homebrew competition, so id be proud of that. I wish you had more dubbel that i could try. Last year i entered denver i got a 41 with my belgian golden strong, and got goose egged. this year was different. keep up the good work. Ha are you zach that took first in this category from Utah? That is fantastic! Thanks for the feedback on my score. Honestly I really don’t have a context for what a good/great score is. What did you get for the 1st place if you don’t mind me asking?